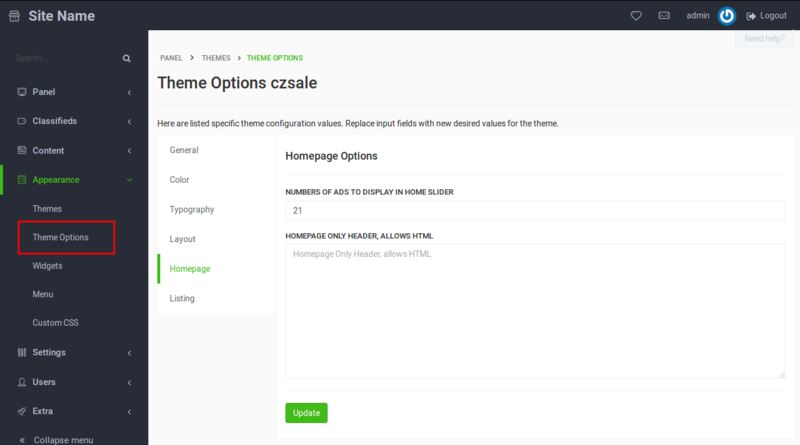 The CZSale theme is a fully responsive theme that was developed with the Bootstrap framework. It includes 7 different color schemes that allow you to adapt the looks. Infinite scroll, right-to-left and all other premium features are supported. Search for Czsale and click on Activate. Numbers of ads to display on homepage: Choose how many ads to display on the bottom of the homepage. 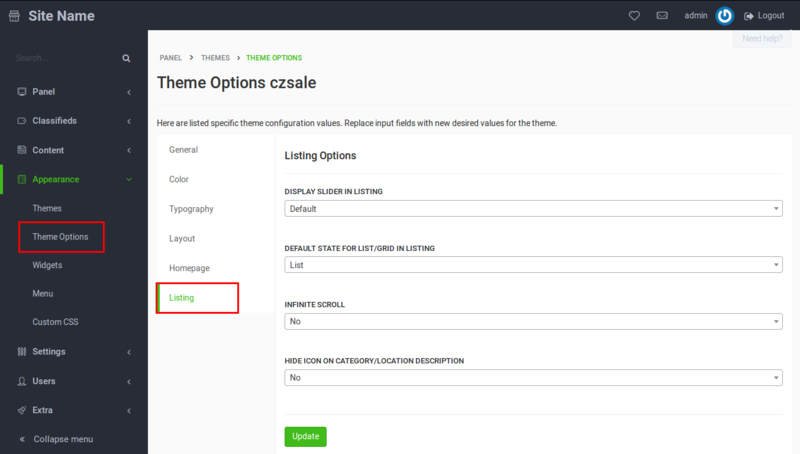 Hide icon on category/location description: If “No” is selected, the ategory/location icon will be displayed on category/location page.